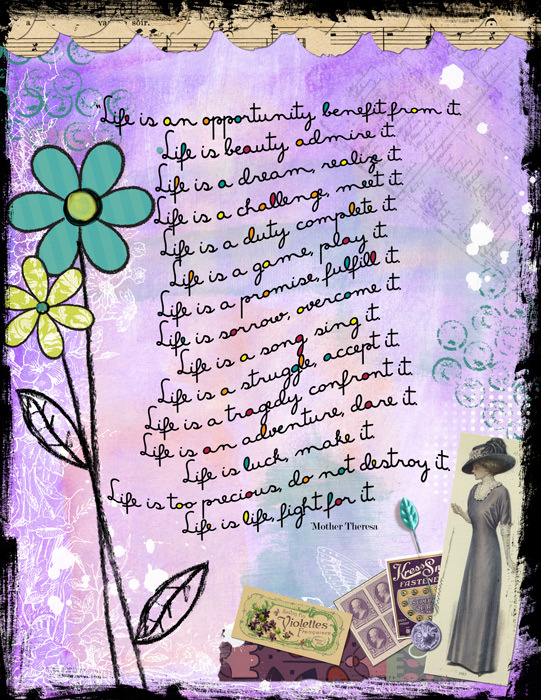 This is my latest completed assignment at Jessica Sprague's Digital Art Journaling Class. This one was to represent "GOALS". I am an assignment (or 2) behind. It's been such a crazy week, I haven't had a chance to do much of anything.